Loosing prized vegetables and fruits to a variety of wildlife can make gardening very frustrating and discouraging. 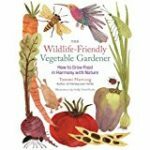 Tammi Hartung’s book, The Wildlife-Friendly Gardener, presents an approach to gardening that emphasizes bringing beneficial wildlife into the garden ecosystem in order to live in harmony with nature by creating a relationship of beneficial co-existence. Hartung draws extensively from her many years of experience growing organic herbs on five acres in Canon City, Colorado, located about 45 miles southwest of Colorado Springs. Believing that understanding nature is the best way to achieve harmony with it, Hartung urges readers first to observe the animals in the landscape noting what animals are present, what they eat, and when they appear. She then turns to more detailed suggestion for attracting wildlife, solving problems, and fostering beneficial relationships. Since the soil is basic to any garden, Hartung starts by discussing ways of creating a healthy community of soil-dwelling animals and then moves on to consider the establishment of a multistory environment with many microclimates and habitats to attract a variety of wildlife. Pollinators and beneficial predators such as praying mantises and spiders are especially important and Hartung describes their role in the garden and ways to attract them. Turning to larger animals from birds to deer, elk and bear, the author gives strategies for attracting and controlling them always with a respect for the natural cycles of interdependence that are in operation. Her suggestions include crop rotation to reduce pests, providing decoy plants, repelling agents, scare tactics, blocking devices such as fabric row covers, netting, and fences. The culmination of the book is a collection of five garden designs created by the author to foster one or more kinds of wildlife. Each plan includes suggestions for plants and a drawing that is worthy of being framed and hung on the wall. This book and a good introduction to the concept of living in harmony with nature. It has dozens of ideas and suggestion but is especially valuable for the overall approach which involves first understanding the problem and then making choices based on that knowledge. Especially helpful are the insets containing tips such as how to plant black walnuts and butternuts so they are compatible with other vegetation, herbs that attract and repel wildlife, and strategies for coexisting with wasps. An appendix offers a quick reference chart for wildlife problems. 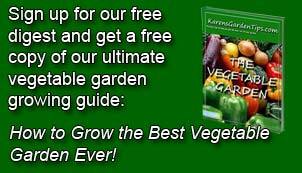 To buy The Wildlife-Friendly Vegetable Gardener from Amazon.com Click Here.